In contentious custody battles, both parents frequently claim to represent the best interests of the child; however, all too often, it is the children who suffer most, as parents often only represent their own interests. In Tennessee, as in all states, children have a legal right to competent caregivers who do not abuse or neglect them. 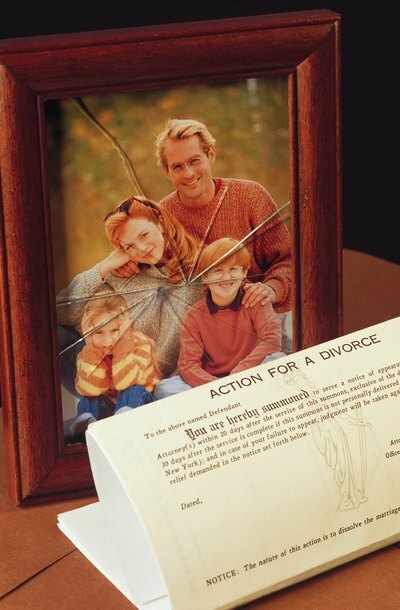 Additionally, there are several laws and standards designed to protect the needs of children whose parents are divorcing. However, Tennessee recognizes that children may not always be able to make decisions that are in their own best interests, so there are no laws guaranteeing children any specific rights to determine their visitation schedules, but there are several avenues children can use to advocate for themselves. The age of majority in Tennessee is 18; children do not have absolute control over their living arrangements until they reach this age. However, at 12, a child's preference regarding which parent they wish to live with is strongly considered. In general, if the parent the child chooses is a reasonably competent parent, the judge will allow the child to live with that parent. Children can give testimony at their parents' divorce hearing or in the judge's chambers. If the visitation schedule has already been finalized, the parent with whom the child wants to live may re-open the case by submitting a signed statement from the child. In most cases, the judge will then want to speak to the child and evaluate the decision before issuing an order. Children do not have a right to establish specific visitation schedules with the noncustodial parent, but once a child turns 12, the judge may consider the child's suggestions. Children who are unsure of what to do to change custody arrangements when they turn 12 should talk to the parent with whom they wish to live. Children can also write a letter to the judge in their custody case or contact the divorce attorney who represented the parent with whom the child wishes to live. Tennessee defines child abuse as the knowing and willful infliction of "abuse or neglect that is likely to cause great bodily harm or death," as well as the failure to protect a child from such circumstances. Allowing a child to be present in a location in which methamphetamine is created is also considered child abuse. Abuse or neglect that is likely to cause psychosis or mental health problems and sexual abuse are also covered under state statutes. Clergy members, teachers and doctors are "mandatory reporters," which means they must report suspected child abuse as well as child abuse that is reported to them. Children who are being abused should talk to a mandatory reporter or, if given the opportunity to testify in their parents' divorce hearing, tell the judge about the abuse. If the parent with primary custody is abusive, the parent may lose custody and receive only supervised visitation. Noncustodial abusive parents may lose visitation rights or be granted only supervised visitation. In many cases, abusive parents must undergo therapy or take parenting classes prior to petitioning to regain rights to their children. If both parents are abusive, their children may be placed in temporary or permanent foster homes. In contentious custody cases, Tennessee judges sometimes appoint a guardian ad litem. These child advocates are usually attorneys hired to investigate the case and advocate on behalf of the child. They may file motions and submit reports to the judge. A guardian ad litem is not under any obligation to advocate for what the child wants. Rather, his role is to consider what is best for the child. Judges may also appoint a CASA volunteer, or court-appointed special advocate, who is often a social worker, to gather information and deliver testimony on a child's specific needs. These experts are required to meet and speak with the children; children who have a specific desire about their custody arrangements should explain the reasons behind this desire to those appointed to advocate on their behalf. All states use a "best interest of the child" standard to determine both custody and visitation. Tennessee, unlike some states, outlines specific standards judges must weigh when considering child custody. These factors include the bonds between parent and child, the length of time a child has lived with a particular parent and the stability of that environment, any allegations of physical abuse or domestic violence, the character of visitors to each parent's home, the physical and mental health of each parent, the parenting competence of each parent, the stability of the family unit and each parent's ability to maintain said stability, including the ability and desire to maintain the child's relationship with the other parent. In many cases, children get an opportunity to meet with the judge who will be determining their parents' parenting plan. A child who has a specific desire should point to reasons why he thinks a particular schedule is in his best interest. Unfortunately, there are no specific laws allowing children to have control over their visitation schedules with their parents. Children who want a specific visitation schedule should try talking to their parents first. If this fails, they should talk to any experts appointed to interview them and explain their reasoning. In extreme cases in which a child feels her needs are being ignored, she should consider writing directly to the judge in her case. Because divorces are so contentious, parents and lawyers may misrepresent the needs and desires of a child to the judge. Consequently, a judge may consider what the child tells her, although she is under no legal obligation to do so. Tennessee recognizes that a custody battle itself can be profoundly damaging to a child. Consequently, parents are strongly encouraged to work together to develop a parenting plan; the court may order them to attend arbitration or mediation. Parents who attempt to alienate the child from the other parent may be at a disadvantage in custody cases. When children do not want to see one parent, the court will consider the reasons behind this desire rather than automatically deferring to the child's wishes. Tennessee recognizes the importance of each parent and, consequently, visitation is referred to as "parenting time" in the state. In the overwhelming majority of cases, both parents are granted at least some parenting time. This is true even when a child does not wish to see one parent, unless there is a compelling reason -- such as abuse, addiction or danger to the child -- to sever visitation rights.